Just had this for my dinner ♥ It’s from ate Lhyz, she brought it for my birthday celebration last Saturday. It’s really yummy, the first time she brought some at home (in our semi-home lol) I think that was also the first time I met her as my uncle’s girlfriend – we all fell in love because the taste was really remarkable that in a way, you’d want some more after your first bite! So, I call it heavenly lumpia. 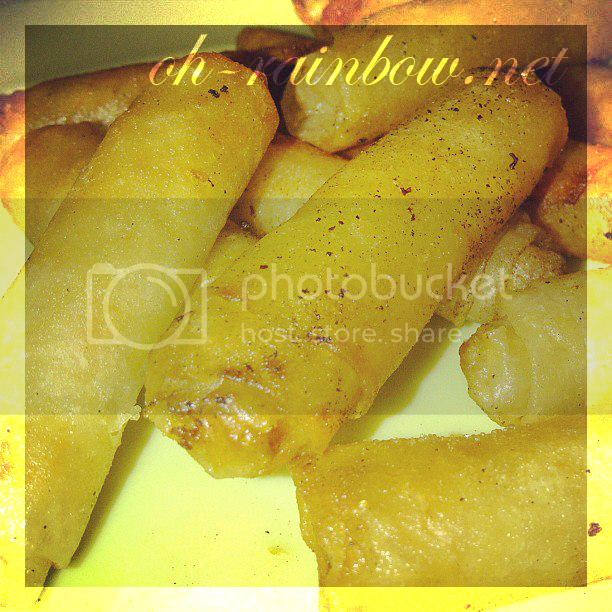 It’s originally called Lumpia which is a cuisine most of us in our country should know. You should have a bite of it sometime! Next PostBumming for a bit.